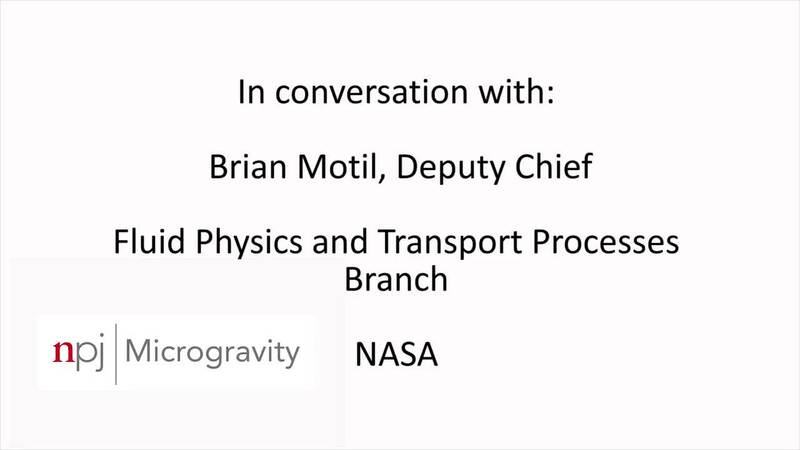 Brian Motil is the Deputy Chief of the Fluid Physics and Transport Processes Branch at NASA. He is the Principal Investigator for the Packed Bed Reactor Experiment which operated on the ISS in June 2016. Here, Brain explains more about the packed bed reactor and why it is important. He also talks about his involvement with the npj Microgravity community and his interests outside space science.